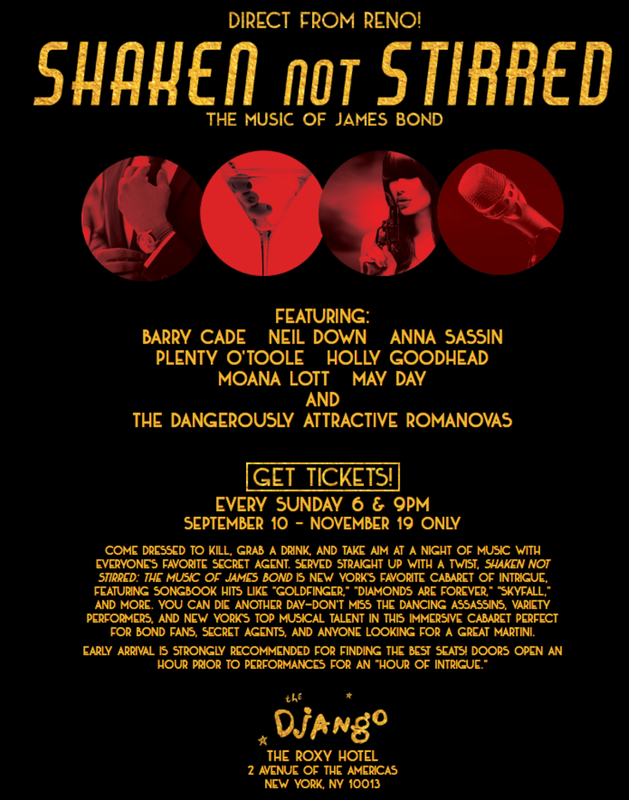 Can currently be seen as May Day in "Shaken, Not Stirred" the music of James Bond at The Django in The Roxy Hotel in TriBeCa. Recently wrapped "Reunion" a webseries about a group of high school friends reuniting for their reunion and discovering how time has changed each other. Strange happenings transpire within the confines of a hotel room. In this surrealist fever dream, a mysterious woman ventures into the dark corners of the psyche, ultimately unmasking the suppressed memories of one’s subconscious. Recently played in "Fruit Salad of Shame", a short off-off Broadway play that is part of The Thalia Festival. The Thalia Festival is a collection of pieces written by women, directed by women, performed by women and ran March 9-11 at The Times Square Arts Center.